How can you beat the power of the sun? 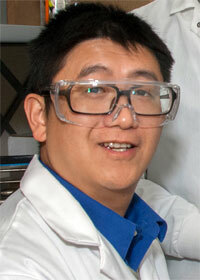 NIU chemistry and biochemistry professor Tao Xu thinks you can’t. He believes solar power will be a big player on the energy scene in the future. 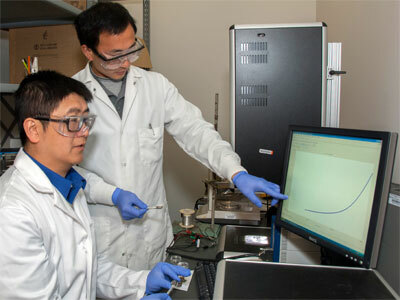 Xu’s research group at NIU is making some headway in the push among scientists worldwide to develop new highly efficient solar cells that use a crystal structure similar to that found in a mineral known as perovskite. In the world of materials science, perovskite solar cells have drawn intense interest. The productivity of a solar cell is measured by how efficiently it can convert solar light energy to electrical energy. In about four years, scientists working on these cells have been able to increase their efficiency from less than 2 percent to nearly 20 percent in highly engineered cells. That is considered extremely rapid progress in the field of photovoltaics. Working at NIU and Argonne National Laboratory, Tao’s research team has made progress in addressing the gold-related stumbling block. In laboratory-designed solar cells, they discovered promising results when replacing gold with nickel, a much cheaper and more plentiful element. Solar cells under development in Tao Xu’s laboratory. “We found nickel can be an excellent alternative to gold with comparable performance,” Xu said. 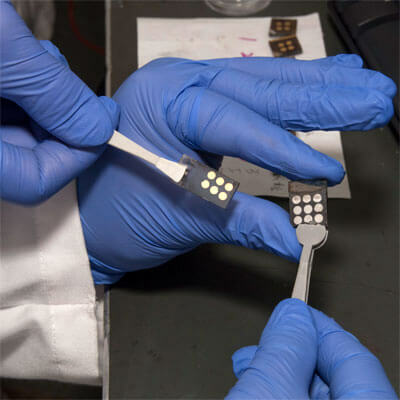 Using nickel instead of gold, the team developed perovskite solar cells achieving an efficiency of 10.4 percent – not far off the 11.7 percent efficiency achieved with gold in the same solar cells in Xu’s lab. With more sophisticated solar-cell engineering, Xu believes the efficiency could improve significantly. Jiang says Professor Xu “always has lots of good ideas,” and the nickel experiments were no exception – though they required patience. Much time in the lab was spent trying to find the optimal thickness for the nickel used in the solar cells. “The moment I got the nice result from the nickel-based perovskite solar cell, I was so excited,” Jiang says. “That’s the joy of success after hundreds of experiments. “I believe Dr. Xu should be happy as well, since I saved lot of gold for him,” Jiang added. Xu stresses that there is still much work to do. Cells developed in his lab still use lead as the primary working material, but he believes perovskite solar cells could someday rival the silicon-based solar cells that currently dominate the market. Those cells boast efficiencies ranging from 17.5 percent to nearly 20 percent, but they also have downsides. The manufacturing process involves expensive and complicated procedures that produce pollutants, Xu said. His nanoscience research program in solar-energy conversion is funded through the National Science Foundation. In 2012, NSF awarded the chemistry and biochemistry professor with a prestigious Faculty Early Career Development (CAREER) grant of $400,000 to support his research and teaching efforts. Three graduate students have been involved in the solar-energy research, and four more will join his group next semester.